Are you sabotaging your diet with these slip-ups? You just don't get it. You've been exercising like crazy and you've been staying away from every high-calorie dish there is, but you're still not losing the extra pounds. Before you smash your weighing scale to bits, you might want to re-evaluate your eating habits instead. 1. You’re not eating enough. Shocker, right? But eating too little forces your body into “starvation mode.” Your metabolism slows to a crawl, making it harder for you to burn calories even if you eat healthy and work out regularly. 2. You’re missing certain nutrients. Did you know that not getting enough magnesium, iron, or vitamin D can sap your energy? And when you’re feeling deflated, you tend to snack on sweet, high-carb foods to compensate. 3. You’re drinking your calories. If your diet isn’t working, maybe it’s because you’re drinking your calories. 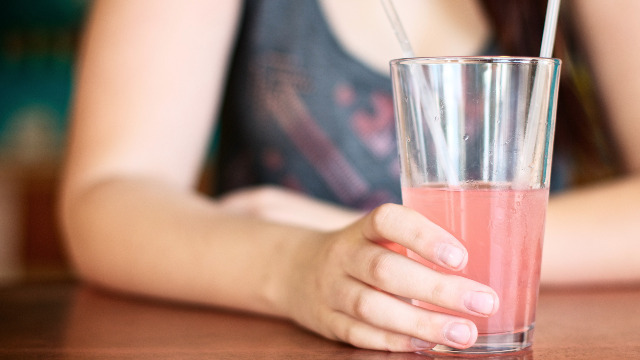 Remember, sodas and juices often pack hundreds of calories per serving, which can quickly add up without you noticing. 4. You’re being duped by food labels. Not everything that’s labeled “fat-free” is good for you. When fat is completely removed from food, it becomes flavorless, a problem food manufacturers remedy by adding tons of sugar and salt to the product. 5. You’re focusing too much on exercise. Here’s a little secret: Hitting the gym doesn’t really burn that many calories. According to Harvard Medical School, a 155-pound person burns only 112 calories for every 30 minutes of weightlifting—which you can totally obliterate if you drink a soda after working out. If you really want to lose weight, you have to clean up your diet. As they say, abs are made in the kitchen, not in the gym. And eating healthy doesn’t have to be complicated. Just grab a can of Century Tuna and eat your way to a healthier, sexier body. Each serving is packed with protein and omega-3 fatty acids, which help keep your heart healthy. Do you have anything to add to our list? Head over to Century Tuna's Facebook page, and share it with us!